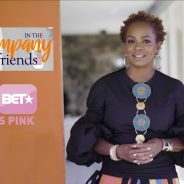 Vanessa Bell Calloway, Tina Knowles, Denise Boutte and Nichelle Turner talk about the importance of checking out your breast and body. While being successful in business, she’s been successful in other aspects of her life with the role of mother and wife being the one she takes the most pride in. Vanessa has two beautiful adult daughters, Ashley and Alexandra and she has been married to her loving husband Anesthesiologist, Dr. Anthony Calloway for 28 years. She says this is what matters most to her in life, “My family is what gives me meaning and purpose. I love them; there’s nothing I would trade for my family. Any professional accomplishments or awards substitutes for the love, the support and the health of my family and they are first and foremost to me and the rest will work itself out.” On this ending note before Stevie Wonder hits the stage she’s given me these words that are the keys to a great life. 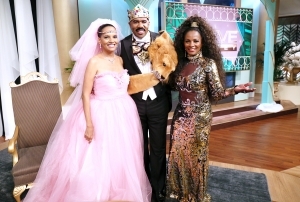 Vanessa Bell Calloway, through her example in the show business and living a well-rounded life is the true definition of a phenomenal woman. 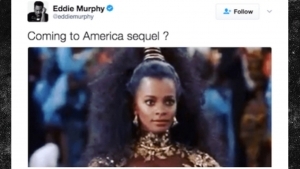 TMZ interviews Vanessa Bell Calloway about Eddie Murphy’s “Coming to America” Sequel tweet! The tweet and Eddie’s whole account have since been deleted. That’s most likely because we’re told there was a plan to post something like this, but it wasn’t supposed to happen yet. As we said, Eddie’s still writing. The premature release caught fans and Princess Imani by surprise. Vanessa, who’s barely aged in the nearly 30 years since the original film, told us she’s ready to go. So are fans, so someone just yell “Action!” already. 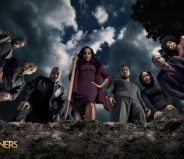 There has been a recent pop up of shows based on what happens in and out of the church but truthfully we all know that Bounce TV broke the mold last year with the debut of its astronomical highly rated original drama, Saints and Sinners that created television’s sudden interest in congregation based television programs. After what seemed like a longer wait then what Job had to endure when God tested his faith, the original church based drama has returned! Sure someone may argue that there was that show Amen back in the day that everyone loved with the Jefferson’s Sherman Hemsley—- but nothing prepared audiences for the twists and turns of Saints and Sinners which is unpredictable and scripted intelligently. The Ty Scott created drama stars eight-time NAACP Image Award nominee and veteran Actress, Vanessa Bell Calloway. 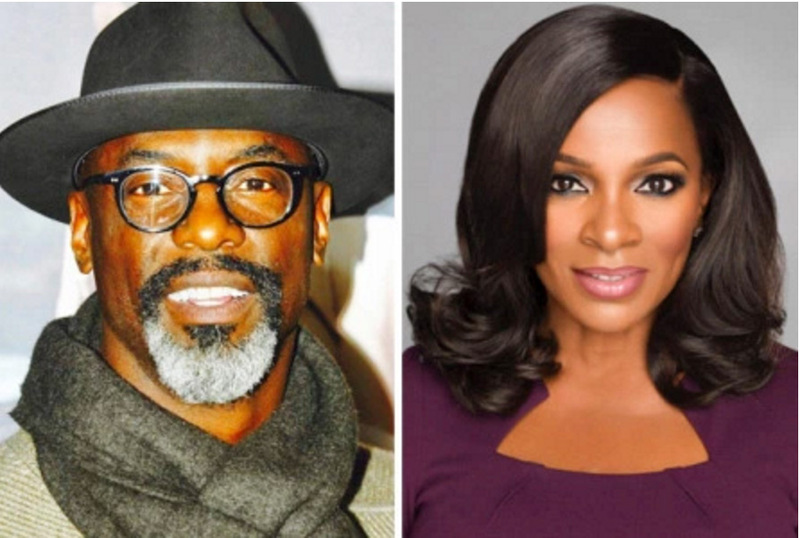 It also features Clifton Powell, Christian Keyes, J.D. Williams, Jasmine Burke, Keith Robinson and Karlie Redd. Saints and Sinners returns to television tomorrow on Sunday, March 5th at 9pm ET. This season, death’s shadow continues to loom over the town’s epicenter, Greater Hope Baptist Church as newly elected Mayor Ella Johnson (Vanessa Bell Calloway) and the remaining power players in Cypress tackle greed, corruption, deceit and scandal among their friends and family. As Cypress police hunt for their newest murder. Saints and Sinners presented Calloway with another role filled with depth and complexity. Lady Ella has to deal with pressure, perception, religion, sexuality and private struggles. Over the years, Calloway has not just survived in Hollywood but she has thrived. From her roles in Coming to America, Shameless, What’s Love Got to Do With It and Grey’s Anatomy just to name a few, the gorgeous and physically fit Actress has always worked and maintained great roles in television, film and theater. We talked to her about Lady Ella, politics, religion and issues on the show and in our country. 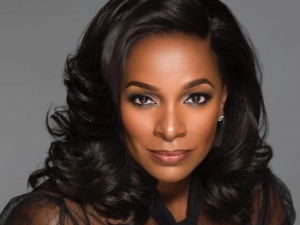 Vanessa Bell Calloway is another favorite of ours who keeps getting better with time! We love her effortlessly elegant style. “Everything I Did Wrong In My 20’s”, a web series created by Kim Williams, follows the journey of a 35+ year old woman’s search for happiness. 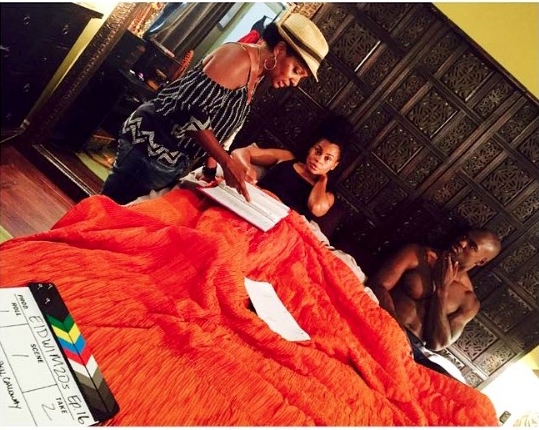 Vanessa Bell Calloway directs Episode 16 of the show, currently in it’s second season. If you enjoyed the “In the Company of Friends” web series, you’ll love “Cookin’ & Hookin’ Up”, Ms. Calloway’s new web series. The official trailer debuts before the episode. How to turn up for $50 or less!